So last week I just posted my wowversery blog, after a loooong period of not blogging. Bascically since Legion launched I did not published a blog, I wrote some unfinished ones, but they never saw the light of day. The simple reason for not publishing blogs is the amount of stuff I am doing in Azeroth itself. The moment Legion launched, all my allocated WoW-time basically went to playing. Writing a good blog takes a while, even the simple fast pulled together blog of last week took 45 minutes between me starting to write, and me hitting the publish-button. Not to mention the thought that went into it before I even started. But it now seems to be slowing down, actually since patch 7.1.5 it has been slowing down..so I finally got some serious alting done. Before that I did bring some alts to 110, but every time I played them, I had the feeling I was actually not progressing Mardah. That feeling went away after I got the 5% more damage on my Scythe. The addition of AP20-tomes also helped, and at this moment I am making sure to keep my Shaman and my Hunter up to date with World Quests. There are also a Paladin and a Mage at max level, but that just takes to much time. Except for the monk, all my alliance alts have their artifact, and my Horde Paladin and Demon Hunter are also in that group. Raiding with Innovation so far has been constant, about one new boss-kill a week. 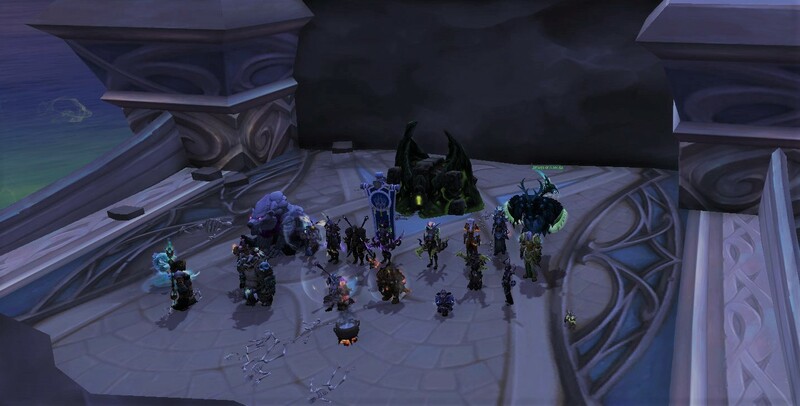 We got all the Heroic End bosses in time for the achievements, and are now progressing through Heroic Nighthold, Skorpyon, Anomaly, Trilliax and Alluriel have been on farm a little while, although Alluriel gave us some trouble this week. We downed the Hippy last week after 20 wipes, and last night Krosus went down after 7 wipes. But I plan to have a night in Nighthold as Boomkin-post soon, so more about that later...which reminds me to make sure I have some screenshots for that. Krosus Heroic..and yes, I am experimenting with colors and shades. I need more talent books, a night in Nighthold.